Earliest adopters of Microsoft's new mobile operating system will see some improvements, along with broken features in Build 10512. Build 10512 isn’t much for whiz-bang new features. Microsoft focused instead on minor fixes and improvements, including a general improvement in overall stability. More specifically, the update also fixes an issue that caused apps installed on a phone’s SD card to stop working after a reboot. Notifications for text messages and Windows 10’s bandwidth-tracking Data Sense feature will also show up more reliably. While the new build brings some welcome new fixes, there are also some killer bugs included with the latest release. First and foremost, the Mobile Hotspot functionality that allows users to share their phone’s Internet connection with other devices doesn’t work in this build. Users who pinned a “large number of tiles” to their phone’s Start screen may get their device stuck in a state where it just shows a loading screen. 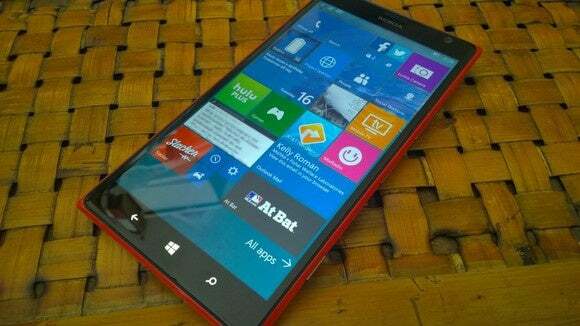 In the event that happens, users will have to reset the device or roll it back to Windows Phone 8.1. Right now, build 10512 is only available to members of the Windows Insider Program’s Fast ring who have opted into more cutting edge updates at the expense of encountering bugs. Users who only opted into the Slow ring will remain on build 10166 for now. The update doesn’t include support for any new phones, but that may change soon. Joe Belfiore, a corporate vice president in Microsoft’s Windows and Devices group, said last month that Microsoft plans to open up the Windows Insider Program in China by releasing a version of Windows 10 for the Xiaomi Mi4. That’s an interesting move, since the Mi4 is currently only available with Android installed. Expanding its mobile operating system to popular phones in China like the Mi4 could spur some growth for Microsoft at a time when the company’s mobile business has failed to gain traction with users.